Flagship Studios: Hellgate: London Unveiled !! Gamer cover image is now up on our website. This game will most likely be available on both PC/Mac computers, for cross-platform compatibility has been a constant equation in their previous games. It is something we would like to ask Flagship Studios in a future interview. As mentioned on the FAQ page, Mac will be considered after the game is finished. Will your game be available for the Macintosh? We are currently focusing all of our energies on creating a great game for the PC and have not yet discussed our long-range plans for support on the Macintosh. We do come from a tradition of supporting the Mac with our games, and we will certainly be keeping such a great, passionate base of gamers in our thoughts as the game progresses. Hellgate London is expected to be a successful and popular game—based on their track record of mind-blowing 13 million copies of Diablo? and Diablo II? sold worldwide. We just added some of the lore that players can find everywhere in World of Warcraft locations like Southshore, Booty Bay, Scarlet Monastery and Darkshire. These books contain official lore of past and present of World of Warcraft. You can read the story of Medivh’s mother as a Guardian of Tirisfal that defeated Sargeras, the story that tells the trolls found the Well of Eternity and evolved with its magics becoming Night Elves in The Two Empires story. Or the story of how the Titans created Azeroth and the defeat of the Old gods. We added 22 books of Wow lore for your enjoyment. You can access the books in our new Wow Lore section at the navigation bar. National Public Radio, heard by millions of listeners across the country, recently profiled World of Warcraft on air and online. 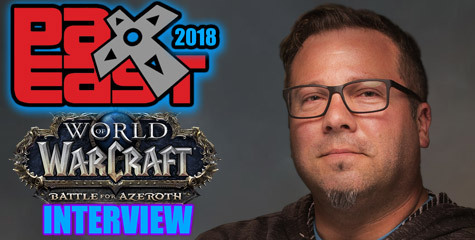 Reporter Robert Holt gave World of Warcraft a rave review on the program All Things Considered, and wrote a follow-up review on the NPR website. Go here to read the review, which claims that World of Warcraft is the best of all MMORPGs. You can also find a clip from the recently-aired All Things Considered segment via the web review. Yet, another new job opening for Swingin’ Ape Studios, Blizzard-assigned developer of Starcraft: Ghost. They are looking for a Senior Engine Programmer. This really makes me speechless. Why would they want a Engine Programmer? Are they rebuilding the game from scratch? Are they upgrading the engine to support Multiplayer? We’re looking for a talented engine programmer with at least 3 years of professional game coding experience and a minimum of 2 years of hands-on experience writing efficient core engine code (directly to hardware, not through 3rd-party APIs). Strong math skills are required. We are interested in candidates who have the demonstrable ability and passion to develop high-quality games, and who have a strong desire to work in a team environment. Must be a U.S. citizen, or possess the right to work in the United States. If you have all of the requirements listed above along with the desire to be part of an extremely talented and hard working game development team, send us your resume today! Read the Contact info below if you wish to send your resume and demo. At 5:00 AM PST, Blizzard will initiate the Scheduled Maintenance and the new promised Content patch will be released. Dire Maul and two outdoor raid bosses: Azuregos(in Azshara) and Lord Kazzak(Tainted Scar in Blasted Lands) will be available. Meeting Stones located near Instance zone-in will now make it easy to search and find a group. Dungeon group caps are introduced. Most dungeons will only have 10 players maximum cap, except Onyxia at 40 and Blackrock Spire with 15 raid players. Diremaul will have a cap of only 5 players. There is an extensive Patch note with all the new additions, and bug fixes. Many rumors arised few months ago with different interviews concerning the reason Nihilistic departed the development of Starcraft: Ghost. It seems that Nihilistic had committed to develop a game with EA, and the development of Starcraft: Ghost had been delayed for too long, clashing with the EA development schedule. Now if we analyze the capabilities of Swingin’ Ape Studios, their previous game Metal Arms has 7 Multiplayer Modes. Their latest job opening requests a candidate to take the position of Level Design with Multiplayer level design experience a PLUS, as you can read in our previous news. Read more details below . . . The King of Stormwind is no longer in Alcaz Island. He has been moved, and now a Gnome lvl 62 is above at the house. The Gnome is related to the Opening of the Gates of Ahn’Qiraj. Therefore, the info below is incorrect. This newspost created in 3-2005 is now a year older than the update. Many fans are wondering what happened to the King of Stormwind. Others ask why a child is now King. The Missing Diplomat quest starting in Sentinel Hill (Westfall) along the storyline of the Defias Brotherhood, reveals that the Diplomat is really the King of Stormwind. The Defias Brotherhood’s leader Vancleef had a grudge with the King. After Warcraft 2 events with the invasion of the Orcs through the Dark Portal, the repairs to the Stormwind city were not properly paid to the Masons who helped rebuild the city. Vancleef created the Defias Brotherhood in an attempt to steal from the rich. In vengeance, the King was kidnapped while traveling to Theramore—to visit Jaina Proudmoore. Due to the disappearance of the King and to not cause chaos in the deteriorating politics of Stormwind, the King’s child son was proclaimed King. Mysteriously, Lady Prestor became Advisor for the Child King. In Warcraft: Day of the Dragons novel, written by Richard A. Knaak, Deathwing(one of the five dragon aspects) posed as a human named Prestor. He got into the politics of Alterac City and he was engaged to marry Arthas’s sister, in an attempt to dominate the Lordaeron Kingdom. Rarely enough, a Lady Prestor advises the child King. It was revealed that Lady Prestor is really Onyxia in disguise. The King of Stormwind—Varian Wrynn, is found in a catacomb sewer system located in Alcaz Island, in Dustwallow Marsh. The Alcaz island is heavily protected by Hydras level 61 Elite and Naga level 60 Elite. Surely, there most exist some connection between Onyxia and the Naga. Onyxia might possibly have deceived the Defias Brotherhood on her Human disguise and facilitated the kidnapping of the King. Easily explained. But … what is the connection between Onyxia and the Naga? Why does the Naga have the King captive if it was the Defias who kidnapped him? Many fans are wondering what happened to the King of Stormwind. Others ask why a child is now King. The Missing Diplomat quest starting in Sentinel Hill (Westfall) along the storyline of the Defias Brotherhood, reveals that the Diplomat is really the King of Stormwind. The Defias Brotherhood leader Vancleef had a grudge with the King. After Warcraft 2 events with the invasion of the Orcs through the Dark Portal, the repairs to the Stormwind city were not properly paid to the Masons who helped rebuild the city. Vancleef created the Defias Brotherhood in an attempt to steal from the rich. In vengeance, the King was kidnapped while traveling to Theramore to visit Jaina Proudmoore. Due to the disapperance of the King and to not cause chaos in the deteriorating politics of Stormwind, the King’s child son was proclaimed King. Mysteriously, Lady Prestor became councelor for the Child King. In Warcraft: Day of the Dragons novel, written by Richard A. Knaak, Deathwing(one of the five dragon aspects) posed as a human named Prestor. He got into the politics of Alterac City and he was engaged to marry Arthas’s sister, in an attempt to dominate the Lordaeron Kingdom. Rarely enough, a Lady Prestor councels the child King. It was revealed that Lady Prestor is really Onyxia in disguise. What is intersting is if there is any connection between Onyxia, the Defias Brotherhood and the Naga. The King of Stormwind—Varian Wrynn, is found in a catacomb sewer system located in Alcaz Island, in Dustwallow Marsh. The Alcaz island is heavily proteced by Hydras level 61 Elite and Naga level 60 Elite. Surely, there most exist some connection between Onyxia and the Naga. Onyxia might possibly have deceived the Defias Brotherhood on her Human disguise, easily explained. But … what is the connecion between Onyxia and the Naga? Strangely, the Naga look reptilian. It would be interesting to keep learning more Chris Metzen’s Warcraft Lore. In War of the Anciens: Well of Eternity novel—by Richard A. Knaak—it is mentioned that the Councelor of Queen Azshara was named Xavius. In Warcraft 3’s Lore from the Player Manual-books, Deathwing was once named Xaxius by Ancient Elves. Is there a coincidence or was Deathwing posing as an Elf councelor to gain control of Queen Azshara and the High Elves? More importantly, Was Deathwing’s intention to bring the Burning Legion into the world 10,000 years ago to cleanse and destroy everything? Here are the screenshots of the King of Stormwind and the entrance to the Sewer System where he is held prisoner. When you find the prison gate, turn to your right. There is a deep water dive and a hidden underwater tunnel that leads into the King’s Prison. With its voodoo-based powers, the Troll Priest is adept at entering the minds of enemies and mending the wounds of allies. The Tauren Shaman seeks to preserve balance among the Four Elements and calls on the awesome powers of nature to defeat foes. A deadly magic-user, the Undead Warlock taps into destructive energies and summons fearsome demonic minions for the cause of the Forsaken. Meeting Stones: How they work? I have one quest left in RFD, and it’s a huge pain to get anyone to go there. So… do I go to the stone and add my name? Then go off and quest on the other side of the world where my other quests are? Do I wait? Are people ported to me? No one is “ported.” You click on the meeting stone and it will automatically try to place you in a group. If there are no groups immediately available you can go quest to your hearts content. As soon as a group is available it will add you, and at that point you will have to travel back to the instance. 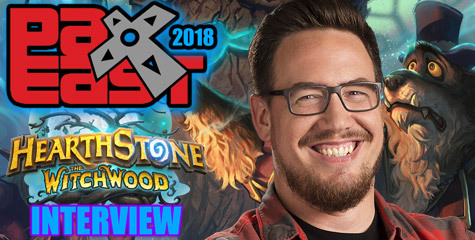 Does the meeting stone scan the “LFG” channel for the keywords or quests pertaining to that instance? Does the stone respond to people saying “LFG RFD” in Ogrimmar? If I’m next to RFD do I get an update in chat? Angelo, a level 60 Paladin on the PvP Test server, reported that Azuregos—a dragon raid event—has been killed. He provided some screenshots showing the death of the colossal blue dragon and a screenshot of the Rare purple item it dropped. Casters should take a look to this awesome dagger that offers 10+ Intellect, 51.7 damage per sec, speed 1.50, Equip: Improves chance of 1% of critical strike with Spells and Equip: Restores 4 mana every 5 sec. Good job! Blizzard Entertainment has nnounced that World of Warcraft will launch in Taiwan in cooperation with Taiwanese partner, Soft-World International Corporation. For full details on this announcement, please read official press release here. Two new public test realms will be going live soon! These realms will give select players the chance to experience new content before it is patched to public realms. More importantly, it gives us a place to test new features and systems in a live environment without impacting the public realms. This will allow us to provide players with more frequent content patches in the future. Moving forward, all players who have an active World of Warcraft account will be eligible to participate in testing on the test realms. However, this initial testing phase requires characters between the levels of 55 and 60 in order to properly test the content and functionality for the next patch. Email invitations have been sent out to a random set of players who meet these qualifications. Their level 55 to 60 characters have been copied to the test realm and will be waiting for them when they log in for the first time. Blizzard released few minutes ago the preview to Dire Maul. An ancient vault of arcane secrets once built by the High Elves under the orders of Queen Azshara. For thousands of years, after the destruction of the Well of Eternity, Dire Maul has been a place where few adventurers have gone out alive, and none have unveiled the secret arcane items hidden in the depths of the vaults. The complex has 3 sections varing from lvl 56 to lvl 60 content. According to Gamespot, a chinese source has confirmed that over 100,000 accounts have been created in advance to the expected release of World of Warcraft Beta in China to take place in two weeks. Jason Hayes answered few questions about his current whereabouts. He is launching his own music company and is planning to release a music album CD soon. His company website will be updated in a few weeks to offer fans an interactive site where his music fans may communicate and download music. Make sure to join his forums. Jason Hayes told us of his interest to support the Modding Community and Voice actors guilds. 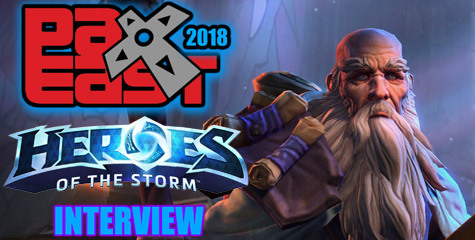 Here is the interview, enjoy! “StarCraft and WarCraft III are particularly popular in “professional” gaming tournaments; how important does Blizzard consider that area to be? Is just a quirky oddity, or is it something you see growing in importance, and in public profile, in the future? Paul: We see it growing. Not only do we see it growing, but we just hired a person to be in charge of tournaments in our company. We want to do more support of tournaments, and we want to build more tournament capabilities into our products, and to have tournaments and competitive play more in our thought process as we’re creating our games. Glynnis, our favorite voice actress of Kerrigan in Starcraft, will be signing books, and any Starcraft or Diablo items on March 12 and 13 at Los Angeles County Irish Fair and Music Festival at the Fairplex in Pomona, California. Click the link above for the official website of the event with the detailed address. You can meet her at the Tea & Sympathy booth. If you visit her, make sure to take photos and to submit them to us. You may contact me at my profile. Starcraft Kerrigan actress, Glynnis, was interviewed by Blizzplanet some time ago. You may read our interview Here. Read Glynnis’s Press Release about her upcoming Book Signing event. Besides a Gaming Voice actress, Glynnis is also a Medieval Romance writer of many books that have been awarded. She was also the voice behind MTV The Maxx and some Diablo II characters.